Delta Waterfowl, Ducks Unlimited, Pheasants Forever, Coastal Conservation Association, and many other conservation groups across North America are some of the greatest organizations to be a part of for hunters. They fight not only for the rights of the wildlife that we love to hunt, but the also fight for the hunters' rights as well as our rights as gun owners. We'll talk about some of the things these organizations do after the break. 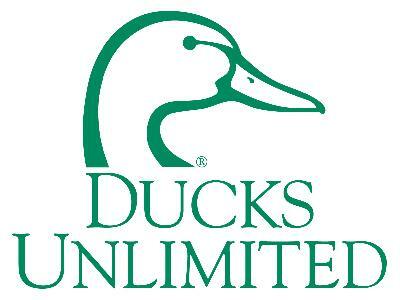 I have been a member of Delta Waterfowl, Ducks Unlimited, and CCA for quite a number of years. I have served on the board of our local Delta chapter and have really been able to see where all of the contributions go and how much these great organizations do for wildlife and the sport that we cherish. One thing that I see a lot of is people that like to try and say why one organization is better than the other, but that is the wrong stance to take. Without DU we wouldn't have some of the best waterfowl habitat in the world. Their attention to where ducks migrate to and from is some of the best I have ever seen in my many years as a waterfowler. From the Prairie Pothole Region to the Texas Gulf Coast, DU has some excellent projects that are prime grounds for waterfowl from all over the country. On the other side of the proverbial fence is Delta Waterfowl. Delta is about nesting and predator management. One of the biggest adversities that waterfowl have to overcome is predators. Whether it is skunks or uninformed farmers, nests are at risk since most waterfowl nest on the ground. With the constant implementation of nesting houses we are putting a dent in the danger that the predators pose. One thing to remember, without our help and constant involvement in these conservation organizations that continue to help our habitat flourish, our future as hunters will be thrown out with the bath water. Be sure to join today!